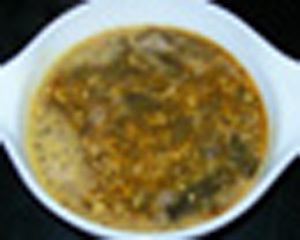 Pressure cooker recipes are usually less time consuming compared to stove top preparations. An Indian kitchen may have more than one pressure cooker, a smaller ones for everyday use and a bigger one for cooking for bigger groups, parties etc. Separators are used in pressure cooker to cook 2 or 3 items together, such as rice, lentil/dal and vegetables . The basic cooking happens in the pressure cooker. And then the spices, pastes etc. are added to the dals and vegetables. 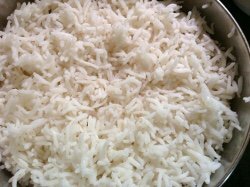 These are cooked further on the stove top to add the finishing touches such as seasoning and tempering and served along with rice or breads. This way of cooking reduces the time needed for cooking each dish separately. 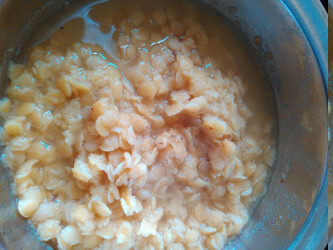 The time consuming cooking of rice, dals/lentils is done in the pressure cooker at the same time. Most Indian housewives use stove top Pressure cookers to do their everyday cooking. Gas stoves are commonly used in India. Pressure cookers are made of aluminum or stainless steel are available in the market. The sizes also are available from 2 litres to 12 litres. Tall cookers as well as flat ones, that are known as pressure pans are available. Choose ones that you find useful. I have two pressure pans - 3 litre and 5 litre size in stainless steel, sandwich bottom for gas stove as well as induction stove compatible. These I use for everyday cooking. I also have one 5.5 litres tall stainless steel pressure cooker with sandwich bottom and another 7.5 litres cooker aluminium which can be used only on gas. These I use occasionally. Now a days, pressure cookers are available in different attractive colors too. Pressure cooker may have a flat lid or a hi dome lid. Handle are usually plastic so they do not get heated much. Now a days, Induction stove tops are also getting popular. Pressure cookers are available that can be used on both, gas and induction stove tops. These pressure cookers have a sandwich bottom, with an iron plate inside, which make them to use on induction stove as well as gas. In addition to these, electric pressure cookers, programmable pressure cookers are also available in the market now. 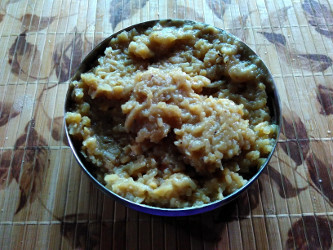 Sweet pongal is a Makar sankranti / pongal festival recipe. 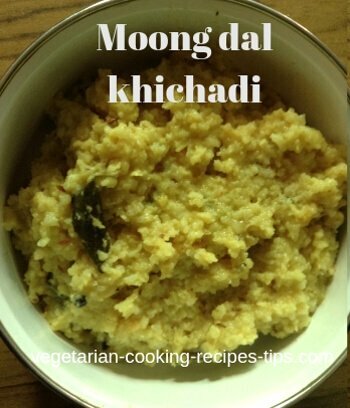 It is a sweet rice made with moong dal and rice. Cook in pressure cooker or on the stove top. 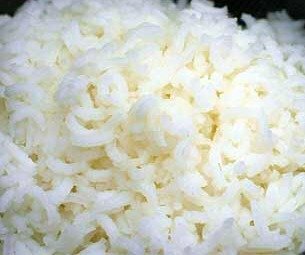 Cook plain rice on the stove top or in pressure cooker to save time. 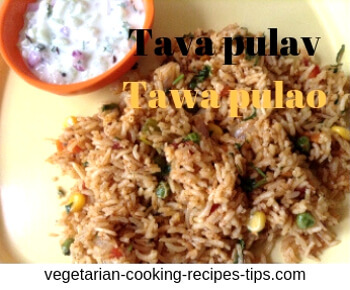 Plain rice is used to make curd rice, tamarind rice, tava pulao, lemon rice, fried rice etc. 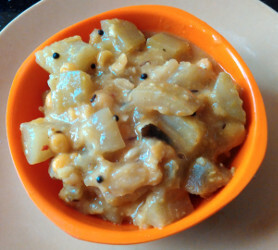 Or have it with sambar, rasam, spinach dal etc. 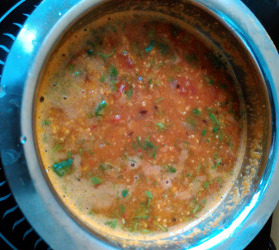 Sambar - Vegetable and lentil dish - with Onion and tomatoes. Pressure cooker can be used for steaming foods. We can steam vegetables as well as Idli, dhokla, momos etc. dishes in pressure cooker. The weight is not used while steaming foods. Do remember to add enough water at the bottom of the pressure cooker before steaming anything. A pressure cooker may also be used to bake as it has a thick bottom. No weight, gasket and water is used when you are using pressure cooker for baking. Sand or salt is spread at the bottom and the pressure cooker is preheated before baking cake or bread etc. It is better to use separate cookers for baking and other cooking.